Work zone safety affects everyone. Crashes and near misses that put road workers and everyone else on the roadway in danger still continue. Just a few weeks ago, a semi failed to notice flashing signs about a work zone in Eastern Washington and crashed into the back of a construction vehicle, leaving the safety equipment a mangled mess – luckily no workers were seriously injured. Late last week there were two work zone incidents on the same project on the same day in Southwest Washington. WSDOT has been sharing work zone safety messages for many years, and this year they’ve partnered with the Washington Asphalt Pavement Association and the Association of General Contractors to reach a broader audience. As part of that effort, they created a video to show just how quickly a moment’s inattention or distraction can have disastrous results. The video is a scenario workers and contractors see on a regular basis. 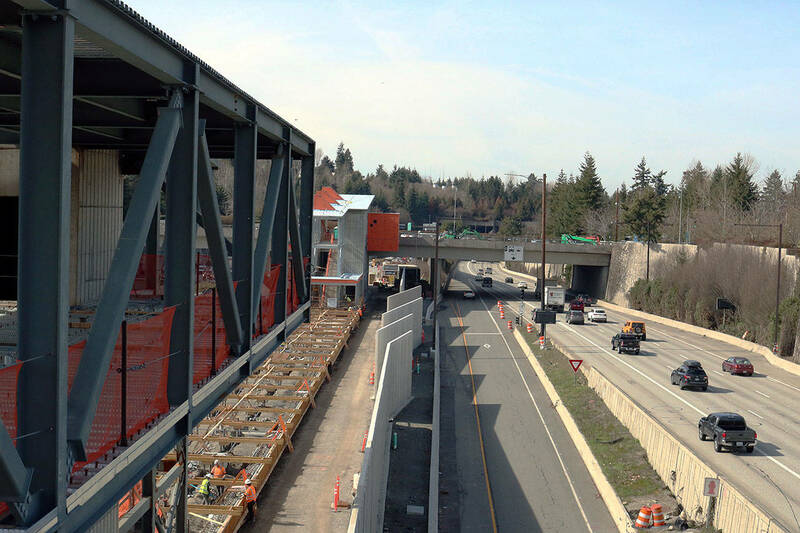 WSDOT has coordinated the release of the video with one of their largest construction related closures of the summer – “Revive I-5” – so that drivers understand how important work zones are for the safety of the workers and how impactful their driving decisions can be to themselves and all of the employees.